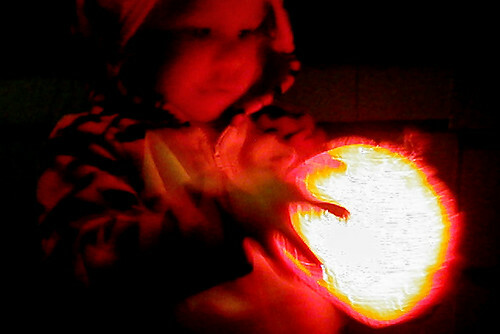 Moving at the Speed of Creativity | How Are We Preparing Students for the Artificial Intelligence New Normal? This week at school we’ve been brainstorming and discussing qualities we want to see in our graduates as they leave our school and enter the wider world of college and work. Today among many other questions, I was thinking about automation and the ways we need students to develop computational thinking skills so they can effectively utilize mind-blowingly powerful AI’s (artificial intelligence bots) to collaborate with others and solve problems. As I gaze into the palantir afforded me as a co-host of “The EdTech Situation Room” each week with Jason Neiffer (@techsavvyteach), this is part of the future I see for our students, our society, and ourselves in the coming decades. This 98 second video, which I titled “EdTech Situation Room Promo Trailer,” is the result of my thinking about this question tonight. Spoiler: The video offers more questions than answers, and as an answer suggests you need to follow @edtechSR on Twitter and subscribe to our weekly webshow and podcast on YouTube and on edtechSR.com! This question of what an emerging “artificial intelligence first” rather than “mobile first” worldview (which Google announced at Google IO 2017) should mean for schools is something I discussed on The EdTech Situation Room back on May 17, 2017, with Jason Neiffer (@techsavvyteach) and Ben Wilkoff (@bhwilkoff). It’s not something I will claim to have definitively figured out, but it’s definitely a question with which I’m likely continue to wrestling in the months ahead. Writing a script in Google Docs. Finding and saving related images for each script sentence on PhotosForClass.com, thenounproject.com, and WikiPedia. Saving SVG files from The Noun Project into Documents 6 for iPad since the PNGs wouldn’t directly download or save to my iPad. I then uploaded those to Google Drive from the app. Converting Noun Project SVG image files to medium resolution JPG image files using cloudconvert.com (free) and Google Drive with my laptop. 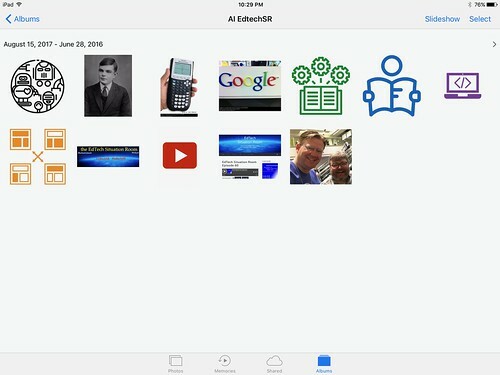 AirDropping converted images from my laptop to my iPad. Importing images into Adobe Spark Video for iPad. Expressively recording my script audio on each image in Adobe Spark Video. Selecting an appropriate musical track for the background within the Adobe Spark Video app, and slightly reducing the volume. Exporting the finished video to my iPad camera roll. Uploading the final video to my YouTube channel with the YouTube iPad app. Can you tell I love digital storytelling and acting a bit “wack-a-doo” (to borrow a favorite word from my wife) when it comes to audio recording?! If you haven’t given Adobe Spark Video a try yourself, you definitely should. It supports a streamlined workflow for creating narrated slideshows and digital stories that’s worth using personally as well as in the classroom! 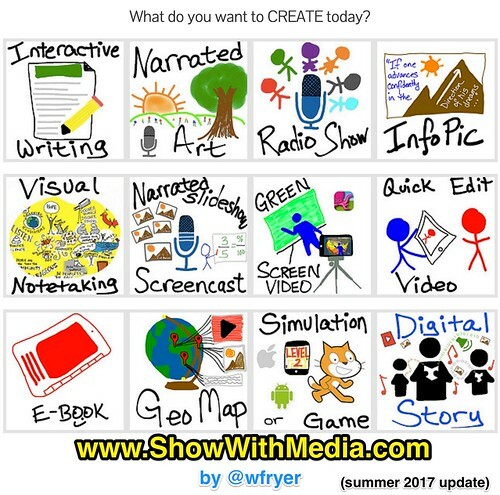 Check out the “Narrated Slideshow – Screencast” and “Digital Storytelling” pages of ShowWithMedia.com for additional resources and examples related to these media project types.